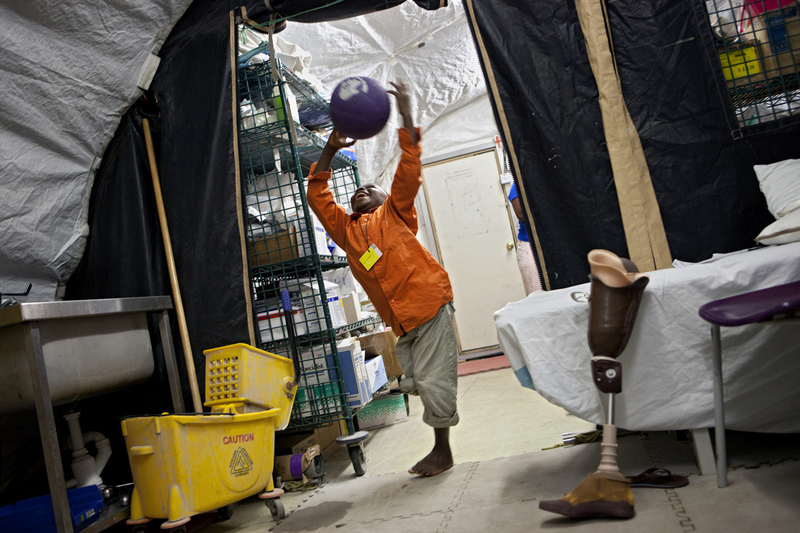 Sierra Leone, Freetown, October 2011.\n\nTimbo Osman, 10, lost his right leg because of a late intervention. the boy fell from a tree and had an open wound. His father took him to the traditionnal healer who put boiled leaves on the leg. Timbo got burned.\nWeeks later, they went to the Mercy Ships and the surgeon decided to cut off the infected leg. \nTimbo is now improving and is having daily orthopedic exercises.